The security of commercial sites varies hugely. For example, petrol stations will require a completely different set of security measures in comparison with shops and offices. At Farsight, we understand that no two sites are the same. With remote monitoring in place, sites of all shapes, sizes and purposes will benefit from optimised security systems monitored by security professionals. Invest in remote monitoring services from Farsight Security Services. 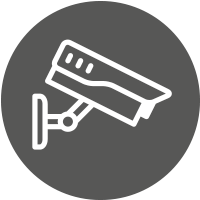 Watch our video on how remote CCTV monitoring works or find out more about remote monitoring services. Get in touch with us today to find out how Farsight Security Services could improve your commercial site’s security. Phone us on 0845 371 0101 or send us an email.